You can get great images to use from Flair buttons, already rounded! Are you saying you don't know how to get the image that you want into a new layer from another image? 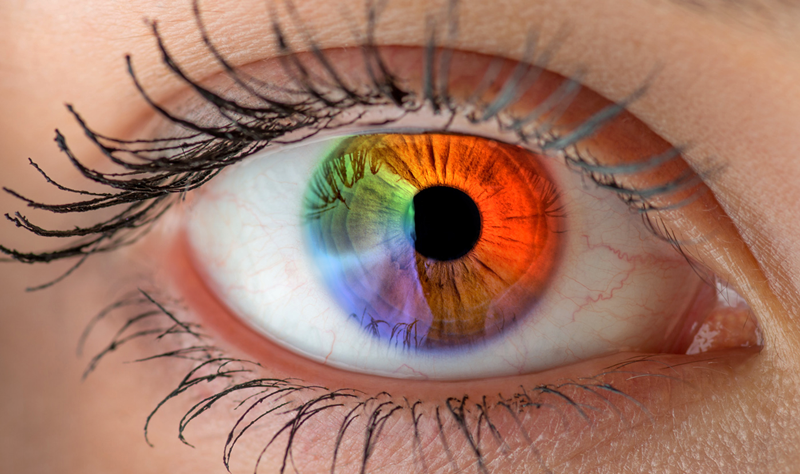 As in you have the image that you want to have overlaid on the eye & you have the eye image? Go to the image you want. 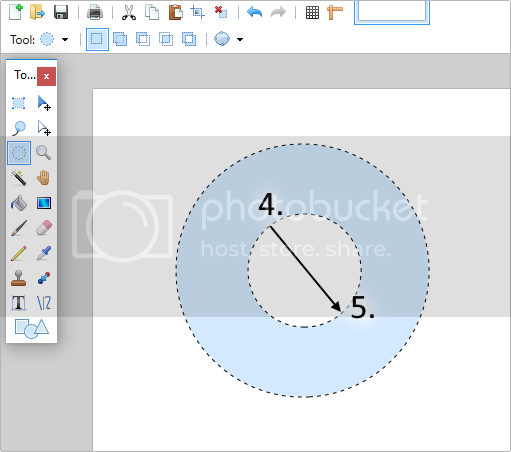 Copy the part of the image you want by either selecting the part you want using your preferred method. I like to use either Ctrl + A to select the entire image or use the selection tools. Magic wand outside of the part you want & then Ctrl + I to invert the selection. Next press Ctrl + C to copy the image to the clipboard. Now go to the new layer you created in the eye image. Press Ctrl + V to paste the copied image. Then follow the rest of the steps. If this is not what you meant, please ask again...we are always happy to help. I decided to have a little fun with Pink Floyd. There's a scene where the camera zooms into the protagonist's eye, and it made me think of this tutorial. So I got an image of that scene and added the Pink Floyd screaming face as a reflection in his eye. 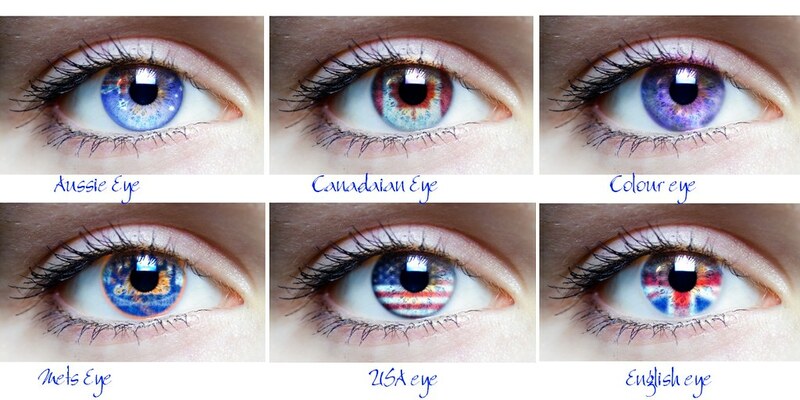 I am trying to do the "Colored Eye" by JaffaCoder in distortions and Modifications but when I try to do the selection for the pupil my inner selection keeps disappearing (? ): I am doing the first steps where to color the iris part without coloring the pupil the instructions say: Select the part of the eye you want to color, invert the selection, now select the pupil..." after I select the pupil I let go of the mouse button and my selection disappears... I have done this technique before but never had this problem. You may have changed the selection mode to Substract or Intersect. Change it to Replace. Merged topic from general discussion. Please ask questions about tutorials in the tutorial thread in question. Thanks! It is still doing the same thing....It is not allowing me to select the pupil. Every time I try as soon as I let go of the button on the mouse my selection disapears. 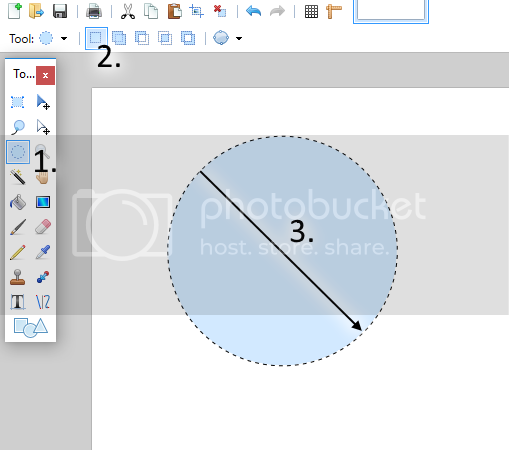 Also confirm that your selection mode is set to Replace in the Tool Bar once the Ellipse select tool is active. It's a nice tutorial, but I think it's hard to follow with out images. Thanks, ReMake. I will check that out. Ego Eram - I did what you told me and still I am having a problem. 3. Hold the Shift key down then click and drag from North West to South East to create a circular selection. 4. Reposition the mouse pointer to the edge of the pupil. 5. Hold both the Shift key and Alt key down then click and drag from North West to South East to create a smaller circular selection within the previous one. The Alt key will ensure this new selection is removed from the preceding one. It Worked! THANK YOU THANK YOU THANK YOU, Ego Eram! I've restored this tutorial from the Tut Graveyard. Thanks to @ReMake for making the new images available. @JaffaCoder! @ReMake! and @Ego Eram Reputo! *Other pictures in my gallery! Dear @ReMake and Dear @Maximilian! Welcome to forum. Well done. Thank you for sharing.